In honor of Native American Heritage Month I’m featuring a Native American missing person for every day in the month of November. Today’s missing person is Gene Jacob Cloud Jr., a 20-year-old member of the Ho-Chunk Tribe who disappeared from Jackson County in west central Wisconsin on January 25, 2012. 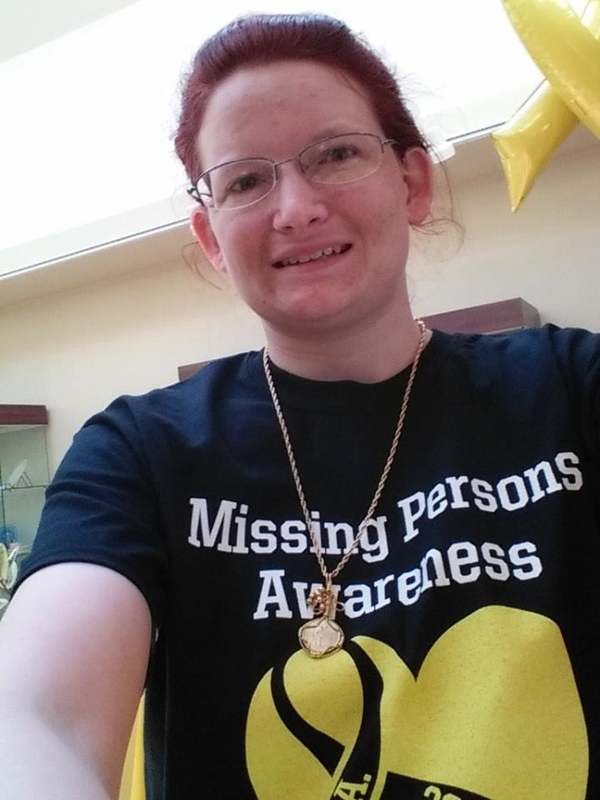 When I went to the Wisconsin Missing Persons Awareness event in 2015, Gene’s family was there, dressed in their traditional tribal regalia and jewelry. I don’t think they showed up in later years, though. So Gene got the borrowed car he was driving stuck in a ditch, and when a police officer offered to help him, he ran away, possibly because he had a few outstanding warrants for his arrest on minor charges. He was never seen again. Searchers subsequently tracked his footprints for three miles through deep snow, and then search dogs traced his scent back to the road, where the trail stopped, suggesting Gene got into a vehicle. His family doesn’t think he left voluntarily, because his girlfriend was pregnant with their child and Gene was trying to become more responsible, such as by going back to school. I have to wonder if he just didn’t get too far from civilization when he ran from the police that day, and got into trouble. The weather in Wisconsin in the winter is brutal, and it doesn’t look like he was properly dressed to be running miles through the snow. I got back really late last night, after midnight. I was pretty beat, seeing as how the previous night I’d awakened at 2:00 a.m. and wasn’t able to go back to sleep. It went really well. The event was well-organized and well-attended. When I showed up, Marsha (the organizer) surprised me with my own table. I was a bit embarrassed because I didn’t recall us agreeing on me getting a table and I had nothing to put on it. Fortunately Marsha had already thought of that and she gave me some stuff to put on the table. I was between the table about search and rescue dogs and the table selling lockets and stuff, across the aisle from Gene Cloud‘s family. The SAR people, by the way, showed up with two of their dogs, a Belgian Shepherd and a Golden Retriever. I asked if a dog had to be a certain breed to become an SAR and they said no, some breeds tended to have better noses than others but it really depended on the individual dog. One of the ladies told me about an SAR dog she knows of that’s a Papillon. I would be kind of embarrassed if I got lost and had to be rescued by a dog the size of a fluffy slipper, but beggars can’t be choosers I suppose. Dad and I decided to set up our tablets so visitors could see the Charley Project and its Facebook page. We had no tablet stands and for awhile we kept improvising with bits of bitumen and wood, but that just got everything dirty and then the sun started shining directly on the tablets so you couldn’t see anything anyway. It was kind of funny actually. At one point Amber Wilde‘s mom and sister and niece came over and asked if I was the person behind the Charley Project. I confirmed I was and they said, “Thank you.” Oh, and her last name is pronounced Wil-deh. All this time I’ve been saying it like Wild. A cop also stopped by my table and asked what I was and what I did. I explained about how the Charley Project takes all the publicly available info and puts it in one place and how as far as I know, no one else does that, and she seemed impressed and said something to the effect that I did what the cops could not do. Everything went really awesomely from my subjective point of view, except for at the end when we released balloons that had the names of MPs attached to them. That was kind of a comedy of errors. First we went out to the balcony and waited, then it turned out we were actually supposed to have gone to the parking lot, so we trooped down to the parking lot and released the balloons…90% of which were promptly blown into a nearby copse of trees and got stuck or popped. Only a few lucky balloons escaped. Stupid wind! Then when we went to go back into the building it turned out we were locked out and someone had to let us in. Dad and I hit the road a short time after that, and had an uneventful trip home. I pretty much hit the mattress as soon as I made it back. Thanks for inviting me, Marsha! Glad I went!